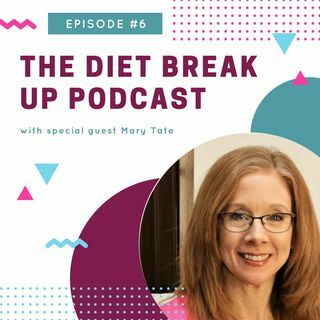 On this episode, I had a such an awesome conversation with Mary Tate about how she helps both children and adults who suffer from ADHD, OCD, and ODD by helping them change their nutrition. I think so many times doctors push medications when there’s a natural way. Mary lives in Parker, CO with her husband and three children. Her passion for the special needs community began when her son was diagnosed with Sensory Processing Disorder in 1999 and then ADHD in 3rd grade. In order to serve her son, ... Más informaciones she became a Certified Health Coach and now specializes in walking alongside families of children with special needs in her business Tree of Life Health Coaching. She loves to serve in a local respite care program to allow parents to unplug, take a break and reconnect. It’s such a blessing to be able to serve these families. Do you feel chained to the dieting roller-coaster? That’s why I created 5 Tips to Ditch the Diet and Transform Your Body, a free eBook. Inside of this guide you’ll find 5 easy steps you can take to start losing weight without going on another diet. *You’ll learn how to create daily habits that will allow you to maintain long term results. *How to develop a powerful mindset so that you can end the self-sabotage so that you aren’t starting a new program every 6 months. *How to eat more of the real foods you love and start losing weight. No fuss. No muss. Just 5 Tips and 5 Action Steps to help you Ditch the Diet & lose weight for life….